Texas is appealing a federal judge’s dismissal of its lawsuit against the federal government and a refugee resettlement agency over the placement of Syrian refugees in the state. Editor's note: This story has been updated with a comment from the International Rescue Committee. Representatives with the Texas attorney general’s office, which is representing the state in the lawsuit, declined to comment. Texas first filed suit in December against the federal government and the International Rescue Committee — one of about 20 private nonprofits that have a state contract to resettle refugees in Texas — in the aftermath of terrorist attacks in Paris that left 130 dead. Following those attacks, Texas’ Republican leaders raised concerns about the refugee vetting process, and Gov. 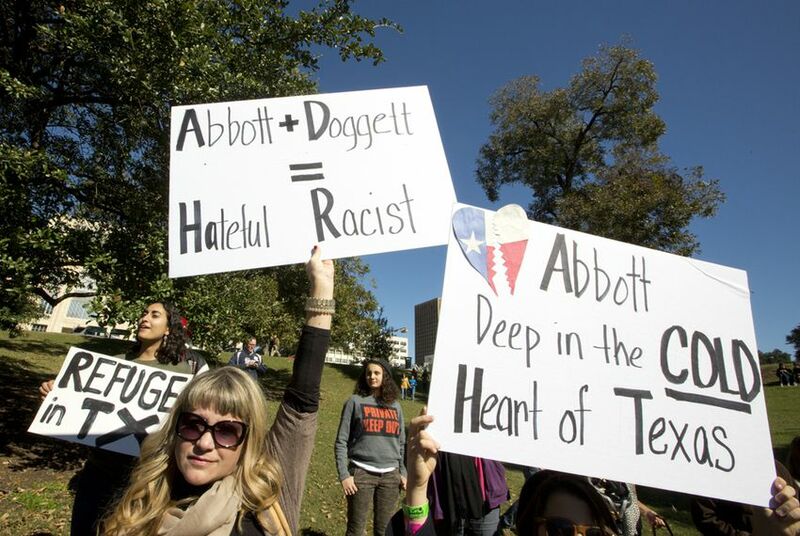 Greg Abbott in November directed resettlement nonprofits in Texas to halt the resettlement of any Syrian refugees. But the federal government warned Texas it did not have the power to reject Syrian refugees, and the International Rescue Committee's Dallas branch informed the state it would continue aiding Syrian refugees placed in Texas. That’s when Texas went to court over the planned resettlement of Syrian refugees, saying the federal government and the nonprofit were violating federal law by moving forward. But it led to several failed attempts by state Attorney General Ken Paxton to block the arrival of Syrian refugees to the state. Paxton’s office in December dropped its first request for an order to block the resettlement of two Syrian families that arrived in Houston and Dallas that month. Godbey then knocked down a second request to bar nine other Syrian refugees from arriving in Texas. But the state moved forward with its lawsuit, saying that the federal government was required to consult with the state in advance of any additional refugee placements and that the International Rescue Committee had breached its contract with the state by failing to provide information regarding specific refugees. In his dismissal of the case in June, Godbey reiterated that the state "lacks a cause of action" to enforce that consultation requirement. "We’re disappointed that some Texas officials are wasting time and resources to re-litigate what a judge has already deemed to be unwarranted action to block Syrian refugees from entering the state," Sime said.